Cathy was born in Huntingdon Beach, California, but moved to Pittsburgh with her family when she was 8 years old, so she considers herself a native Pittsburgher. She has vast knowledge and true understanding which comes from working in various positions in the banking and mortgage industries for the last 30+ years. She got her start as a Title Searcher for a title & appraisal company, was promoted to Customer Service Rep and then to outside Sales Rep. From there, she worked at Mellon Bank for 10 years, starting as a Special Marketing Manager, moved to a credit underwriter position, then a supervisor in the audit/billing department, and ended her banking career as a District Consumer Loan Manager. Cathy has worked as mortgage originator since 1996 and joined Holland Mortgage Advisors in 2006. Cathy truly wants to help people make sound financial decisions, live the dream of homeownership, save money and achieve a better financial position. She attributes her success in the industry to her extensive knowledge and experience in the field, and the fact that she really loves what she does. The best part of her job, she says, is watching first-time homebuyers accept the keys to their first home, and saving clients tens of thousands of dollars. Cathy received the 5 Star Mortgage Professional Award in 2011, 2012, 2013, 2014 and 2015, and also received numerous Premier Achievement Awards when she was with Mellon Bank. When she is not working, Cathy enjoys spending time with her husband John, her 3 children, and other family members. 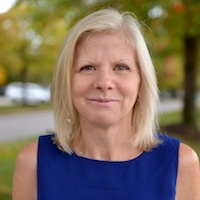 Besides her career as a Mortgage Advisor, Cathy’s passions include her Catholic faith, cooking, gardening, sports, particularly hockey and football, and watching live entertainment. Cathy and her husband make their home in Mt. Lebanon.